There are a lot of things that you can do with Siri. In fact, Senior Tech Recipe #12 Getting to Know Siri has a list of over 200 commands that Siri can complete. We know that the iPhone is great for creating timers and alarms. And using Siri is makes it easy and convenient when you need that quick alarm or time. With a single Siri command, you can create these handy tools. But first, let’s explore the difference between Alarms and Timers. Alarm – An Alarm is appropriate when you want to see and hear a notification when a certain date and time arrives. It is perfect for morning alarms or to set an alarm when you need to complete a task at a specific time. 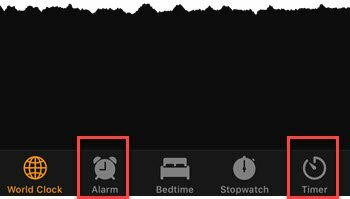 Although you can also set a reminder in the Reminders app to give a notification at a specific date and time, an Alarm will be more pronounced to include the audio ring that you set. Timer – A Timer works to give you an audio and notification at an elapsed time. It is perfect to timing cooking tasks or setting a time for your afternoon nap of 20 minutes. If you are manually creating either a timer or an alarm you will use the Clocks app. But in this nugget, let’s make it even more simple by using Siri. When the time arrives you will receive a notification from the time or alarm. Important is that an audio sound is included in the event. This makes it more powerful than a reminder.